bread and butter . 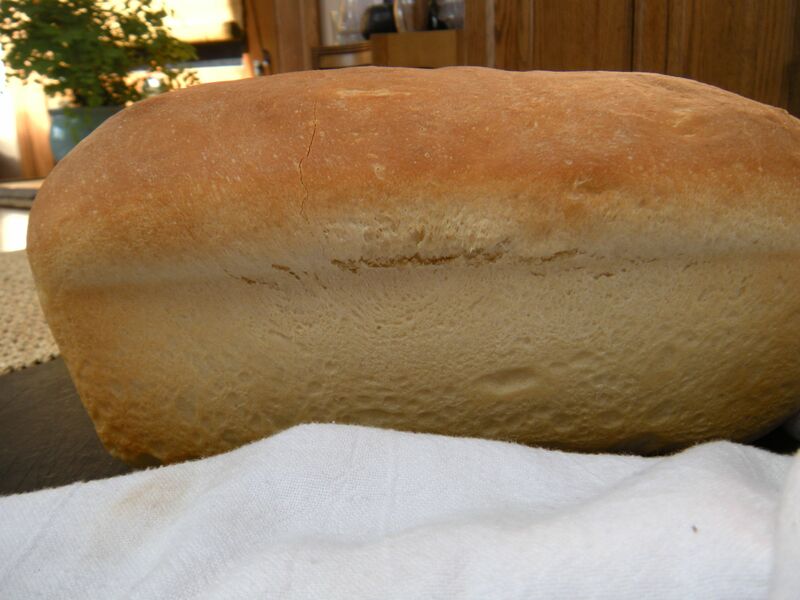 . .
homemade sandwich white bread, a half loaf is better than none! Sometimes, it feels really good to get back to basics. Like bread and butter. 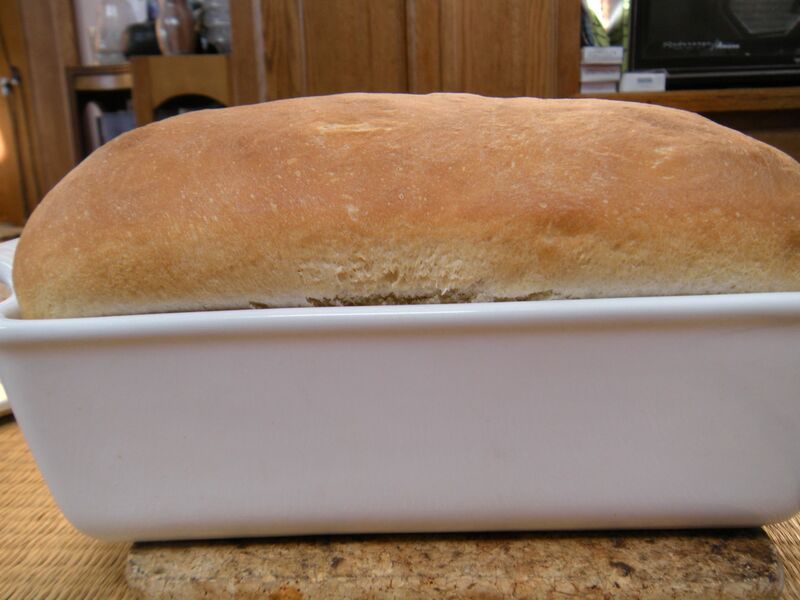 Even though there’s just half a loaf left, I took a photo of the bread that I made yesterday. One of the offshoots of the mums show was that the sandwich I bought there was made with wonderful homemade white sandwich bread, even though it was pretty soggy from having sat in the plastic container for awhile. 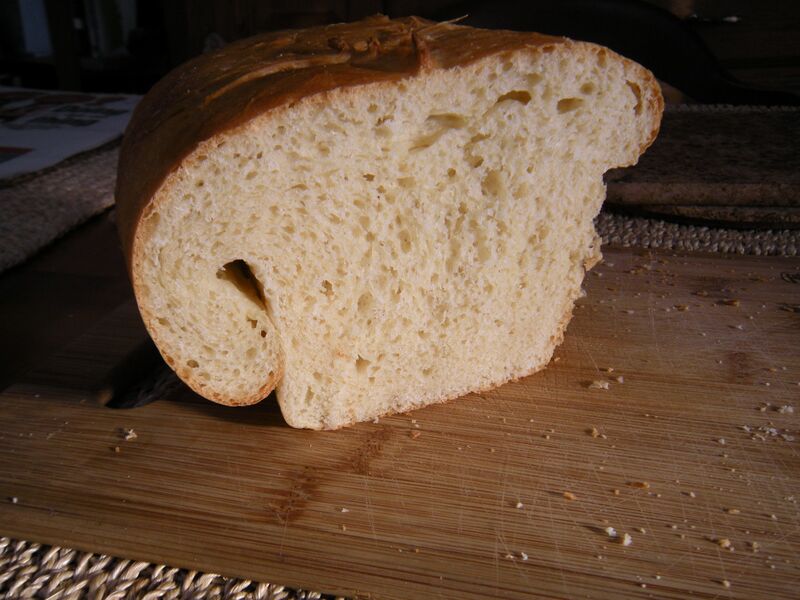 It was so tasty that I resolved to find a recipe for sandwich white bread and bake a loaf at home. 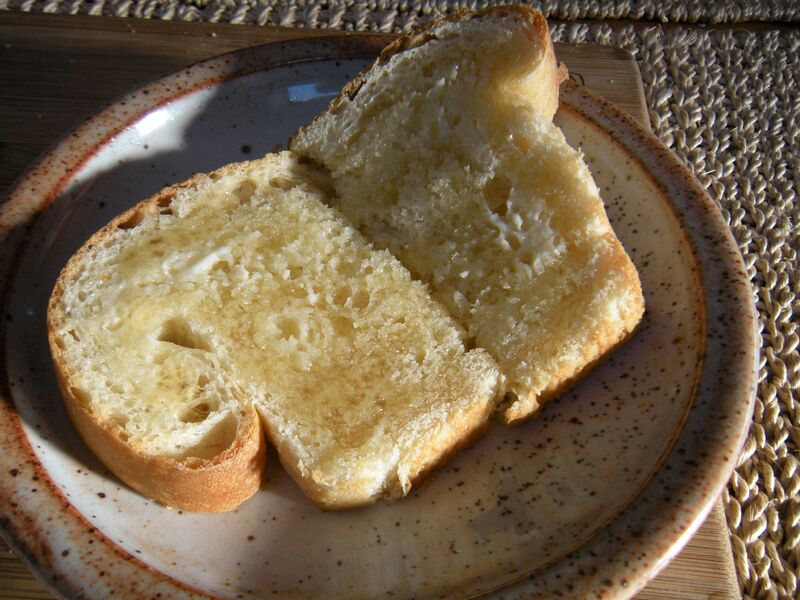 Because of the flavor and crumb, I thought that the recipe might include milk, butter and honey. Sure enough, I found such a recipe and followed it to make what is, (drumroll), the very best tasting bread that I have ever made. Here are a few things that I absorbed about making the bread light with a firm crumb and a crust that is not too chewy but still flavorful. The most important thing is not to use too much flour. I followed this recipe and its guidance to add only a tablespoon of flour at a time if the dough was sticky while kneading. Apparently, a bread dough that has just enough flour to hold it together will be tender and light. I’ve found the same axiom to be true when making cinnamon rolls at Christmas: the less handling a dough that has just enough flour makes the most tender, light rolls. The second is to use fine ingredients. I added G.’s favorite honey from Canada (Billy Bee) which has great depth of flavor without being overly sweet. Melted Plugra unsalted butter went into the dough. I discovered this brand of butter by watching a NYTimes Melissa Clark video on butter-tasting. Plugra brand won hands down. So the next time I was in a specialty grocery store, I sprang for some and have been rationing it out ever since. I still use Kate’s unsalted butter most of the time, but Plugra is creamier and more buttery-tasting. The flour used was King Arthur’s unbleached all purpose flour along with Maldon sea salt. I think that’s all the ingredients except instant yeast I had in the fridge and whole milk. I hand kneaded the bread dough for exactly ten minutes even though I was tempted to stop after five minutes. I heated my oven, then shut it off, placed a bowl of water in it and added the dough in a greased bowl to rise for the first time. After the dough rose the first time, (after a 2nd boost of hot air two-thirds of the way through,) I punched it down gently, formed it into a loaf with minimal handling and put it into a buttered (not greased) white stoneware Le Creuset bread pan (my all-time favorite baking utensil.) Heated the oven again and turned it off, added a pan of water and let it rise again with a film of plastic on it. When risen, separated the plastic without disturbing the dough. Then I boiled a small pot of water. Pre-heated the oven to 350 degrees. Opened the oven and poured the boiling water into a pan next to where I was going to bake the bread. Closed the oven again to let the inside oven temperature rise again to 350 degrees. Popped the bread into the oven and let it bake for about 30-35 minutes. Took it out, gently ran a knife around the corners and it came out easily, the steam permeating the kitchen with wonderful bread aroma. my second loaf fresh out of the oven today!